Hey, I'm Chris Salem. In May of 2017, I graduated from the University of Michigan with a Computer Science degree and went right into the Hacker Fellows program. With reflection, I continually realize that Hacker Fellows is “too good to be true” in many ways, and I am very grateful to be a part of its growing community of emerging technologist and community-minded entrepreneurs. It’s been a little over seven months since I started working with Pixel Velocity, a small company that creates software for the virtual monitoring of large outdoor facilities, primarily oil fields. We are based out of Ann Arbor, Michigan but everyone works remote, including me. I work as a Software Engineer, designing and maintaining the back-end portion of our product. I am the only one working on this portion, which, for the most part, I like because I have total ownership over the things I work on and how I choose to work on them. Full autonomy is great, but a small hardship is not being able to consult someone on specific things when I am confused or stuck, especially dealing with legacy code. This has been a huge focal point of my early career, which I have learned and grown a ton from. Continuing to work through challenges and learn is the most important to me. Working remotely provides me with flexibility in how, where, and when I work. Most of the time, I work from home. I moved back to my parents’ house in Orchard Lake, Michigan. I love my parents and am happy to be spending more time with them, while at the same time, continuing to find my independence. The more settled I get in my position, the more comfortable I have become working in different environments. I have ambitions to be able to work from anywhere and be totally mobile, but I try not to get ahead of myself. Right now, I am staying at a surf hostel in Aguadilla, Puerto Rico called Secret Spot. I come to Puerto Rico often. Here, can get my work done quite well, despite a few difficulties here and there. When I am productive in my work, I have more fun when I’m out surfing. And, when I have a good surf session, I can more easily focus on my work. That balance is important. Through it, I’ve been able to see where balance can improve other aspects of my life. One important thing Hacker Fellows taught me is to not be afraid of failure. I want to be the best version of myself. Surely, we all should want to be the best versions of ourselves. We don’t always succeed, we’re not always satisfied, and we can go through hard times where we would rather give up, losing sight of what we’ve been working towards. I’ve found that being totally honest about things brings me the most happiness, and eventually lands me exactly where I would want to be. Sometimes, it can be hard to be honest, especially with ourselves. For me, it’s a work in progress, and failure is common. But failure is part of success. I find that both ironic and powerful. 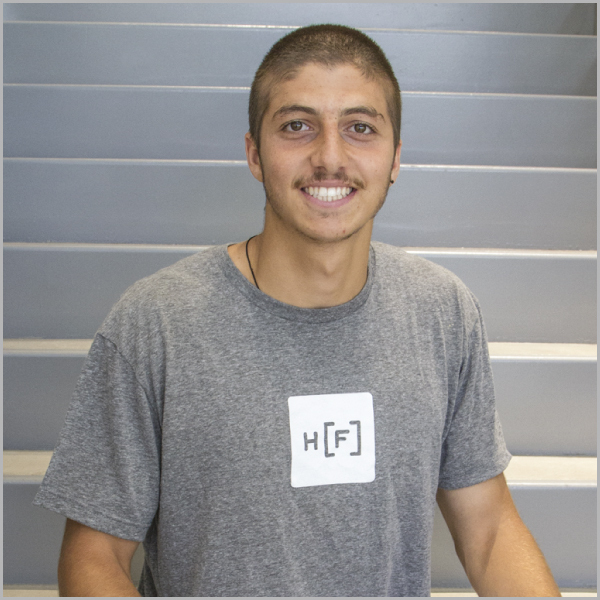 Chris Salem is a 2017 Hacker Fellow who studied Computer Science at the University of Michigan. He is currently working with Pixel Velocity in Ann Arbor.